Ifeyinwa Ikeonu, Acting chairperson of the ECOWAS Regional Electricity and Regulatory Authority (ERERA), says the West African cross-border electricity market will encourage trading among the member states by the end of 2016. According to the ERERA boss, the launch of the electricity market at the end of 2016 would address the twin problem of energy access and energy security in the region. Speaking at the 6th meeting of ERERA’s Consultative Committee of regulators and operators in Accra on Tuesday, Mrs Ikeonu said the regulators and operators would review the draft dispute resolution procedures and enforcement rules prepared by ERERA for the discharge of its quasi-judicial functions with regards to the regional electricity market. “In 2013, there was a directive of the ECOWAS council of ministers which mandated all member states to meet certain obligations that would form the framework on which we can build on the regional market. Some of the issues that were tackled in the directive included the issue of open access. The ground rules have been put in place to ensure that come the end 2016, phase one of the electricity market would be launched,” she said. She said some of the documents to be reviewed at the two-day meeting included the dispute resolution mechanism and the enforcement proceedings for ERERA and the revised strategic plan for 2016 to 2020. They would also consider proposals on the rebranding of the institution’s annual Electricity Regulatory Forum to make it more effective. Earlier this year, Mrs Ikeonu presented three documents that had been approved by ERERA to fast-track the establishment of the electricity market to the West Africa Power Pool (WAPP). The documents covered the regional market rules, the tariff pricing methodology, as well as WAPP operational manual. 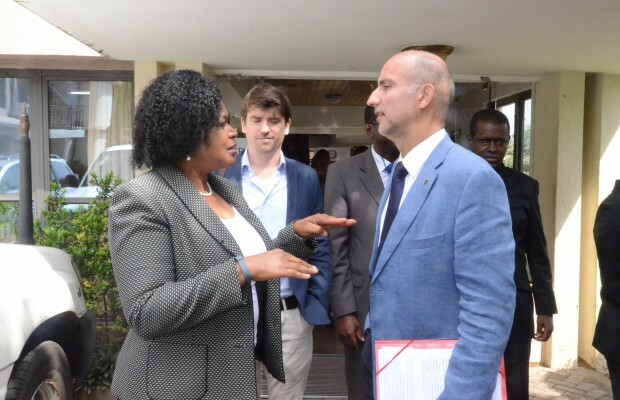 Ignacio Burrull, European Union (EU) Head of Cooperation in Ghana, disclosed that the cross-border electricity market of which the EU has been a strong supporter would become valid in the electricity sector and in West Africa. Mr Burrull added that the EU has so far invested about EUR 1.1 billion into the regional integration and cross-border electricity market to build interconnections. “This support will even increase in future; the ambitious goals of ECOWAS to increase the share of renewable energy to 31 percent of its energy mix and to achieve 100 percent access to sustainable energy by 2030 are fully endorsed by the EU at regional and national levels. The event brought together representatives from Energy Commission, Volta River Authority (VRA) and GRIDCo, as well as representatives from other energy related institutions from ECOWAS countries.